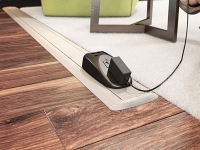 Connectrac On-Floor Wireways are Connectrac’s smallest, sleekest and most flexible. 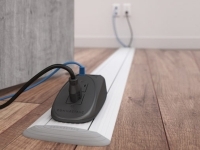 On-Floor wireways easily install on top of any type of flooring and offer either a pre-wired duplex or quad receptacle and capacity for 4 CAT-6 cables. 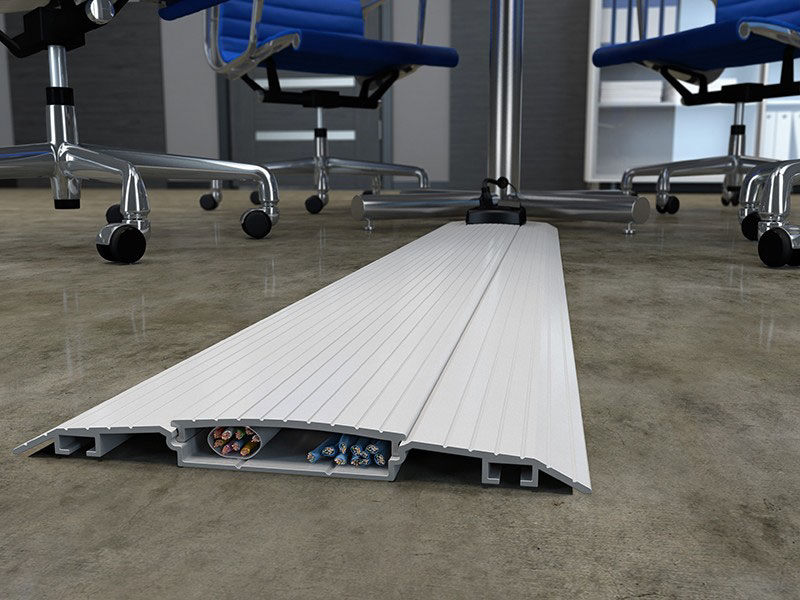 Connectrac On-Floor Wireway systems install directly on top of any type of flooring. They are the industry’s newest alternative to core drilling and trenching for access to power and technology in open spaces. Extremely durable and low profile, these wireways offer a wide array of power/AV/telecom connectivity options. 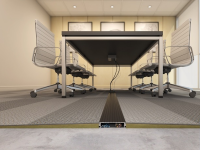 Connectrac On-Floor Wireways lead the industry in both ease of installation and capacity for telecom/AV cables. 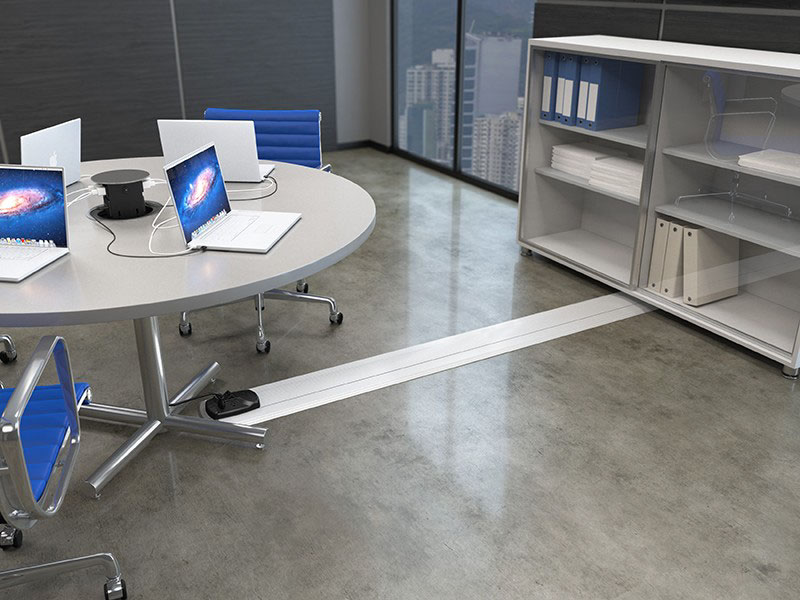 They are the best wireway solution when speed of installation, fl exibility and value are critical.